AC Endeavour and Orbis recently held a Community Day, with over 50 Orbis employees starting their day at AC Endeavour’s West Fort where they learnt more about the AC Endeavour Program, of which Orbis is the leading partner. A unique opportunity to be AC Endeavour students for the afternoon as they participated alongside Sandys Secondary Middle School M1 students in STEAM [Science, Technology, Engineering, Arts and Math] Education activities such as building anemometers, testing their boat building skills while learning about buoyancy, knot tying and rigging. Washing and polishing O’Pen Bics, RS Fevas and Hobie Waves, AC Endeavour boats, used for the training and education of young sailors throughout the AC Endeavour Program. Cleaning, drying and organizing Magic Marine sailing gear used by the AC Endeavour students whilst sailing, ensuring the next participants change into kit that as is clean and ready for action! Helping clean up the West Fort base, touching up paint and generally bringing it up to sparkling specification after a busy summer of AC Endeavour activity. Anne Hyde, Executive Director of Keep Bermuda Beautiful, lead all Orbis team members in a marine debris cleanup at Somerset Long Bay. 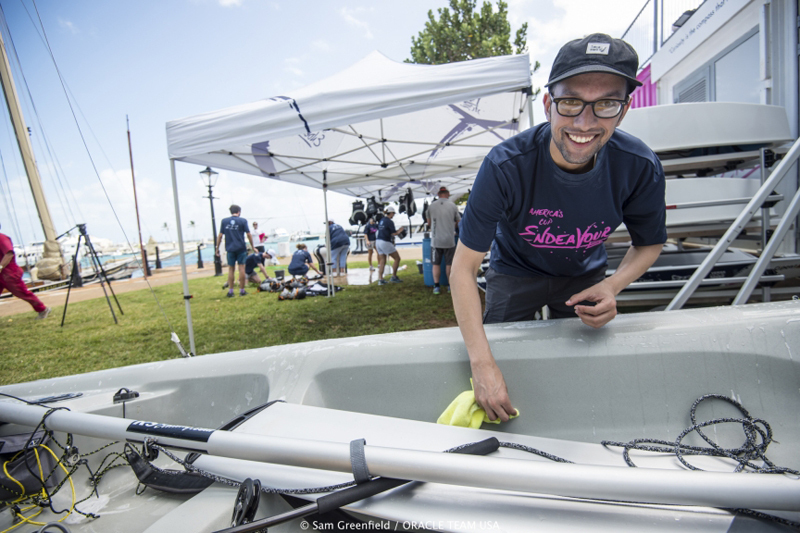 A vital task that helps maintain Bermuda’s beautiful coastline, and, even more importantly, tracking the debris collected from the beach to help Bermuda’s environmental organisations understand more about what is washed up in Bermuda. 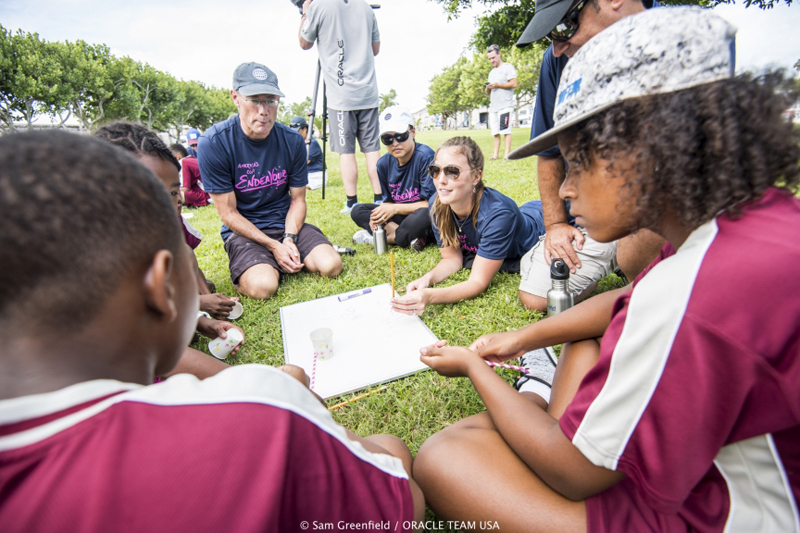 The event wrapped up with a special volunteer appreciation moment held at Oracle Team USA where Gorham’s Ltd. were also thanked for offering a discounted rate on all of the project costs and helping make the event possible. 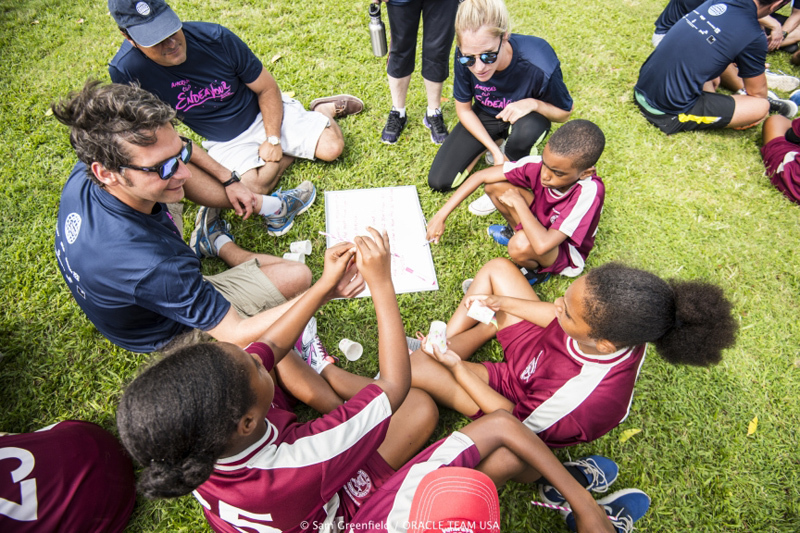 Alec Cutler, Director of Orbis Holdings Limited, said: “Orbis’ Community Day reaffirmed our excitement for the AC Endeavour Program and the legacy it will leave with Bermuda and its future generations. Sir Russell Coutts, CEO, America’s Cup Event Authority [ACEA] commented, “We are incredibly grateful for the time, talent and team spirit dedicated by Orbis team members today. “Beyond their amazing investment as lead sponsor of the AC Endeavour Program, they have demonstrated an enormous amount of support through rain and shine at our West Endeavour Fort and Somerset Long Bay and are truly making a difference in the lives of our Island’s youth. 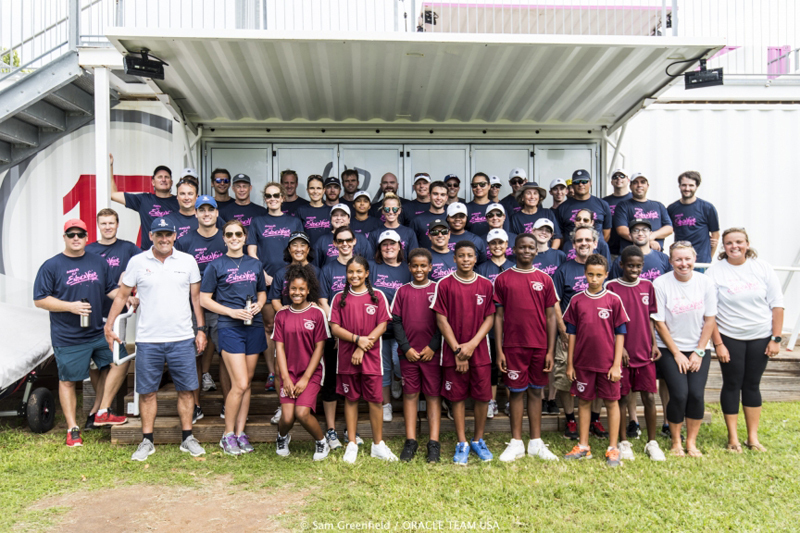 “Their positive energy was inspiring as they worked together to beautify the AC Endeavour West Fort in Dockyard as well as interacting with M1 students from Sandys Secondary Middle School.